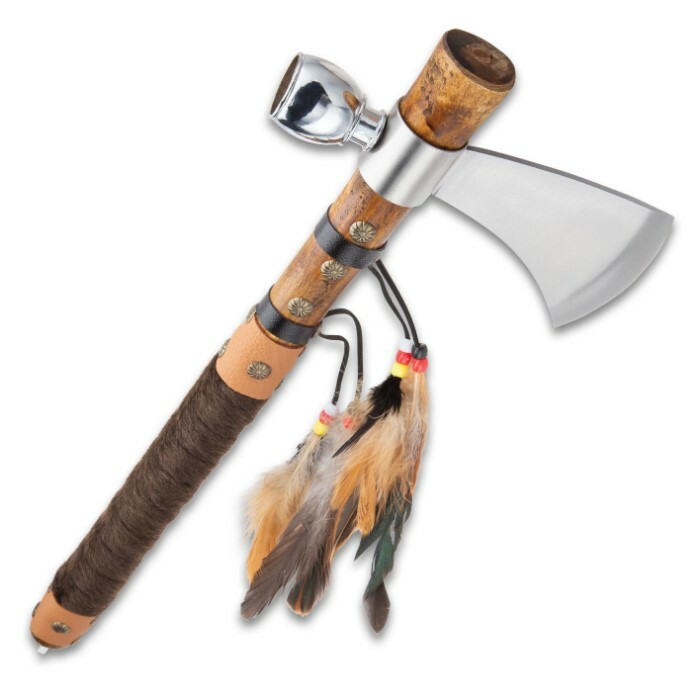 Chief's Ceremonial Tomahawk Pipe - 19" Historical Replica | BUDK.com - Knives & Swords At The Lowest Prices! 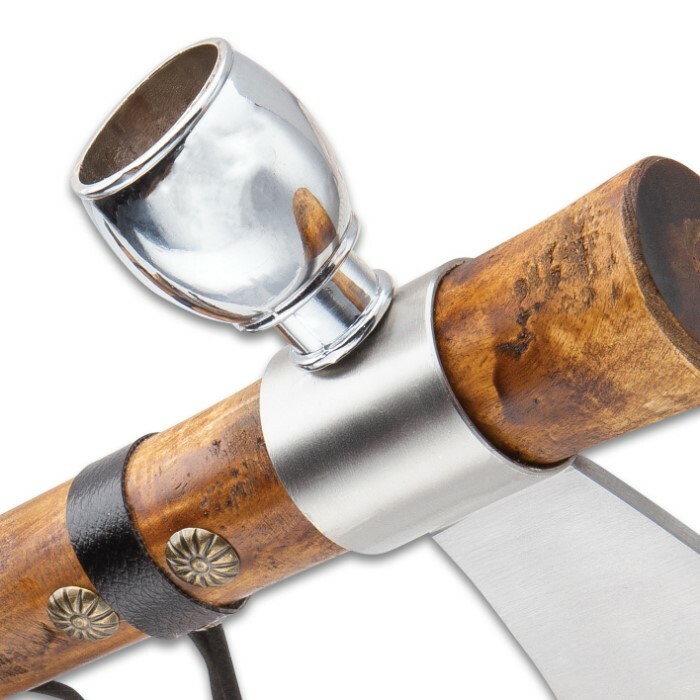 The rustic Chief's Ceremonial Tomahawk Pipe is both a revered symbol of peace and a feared weapon of war - all in one elegantly appointed historic replica! 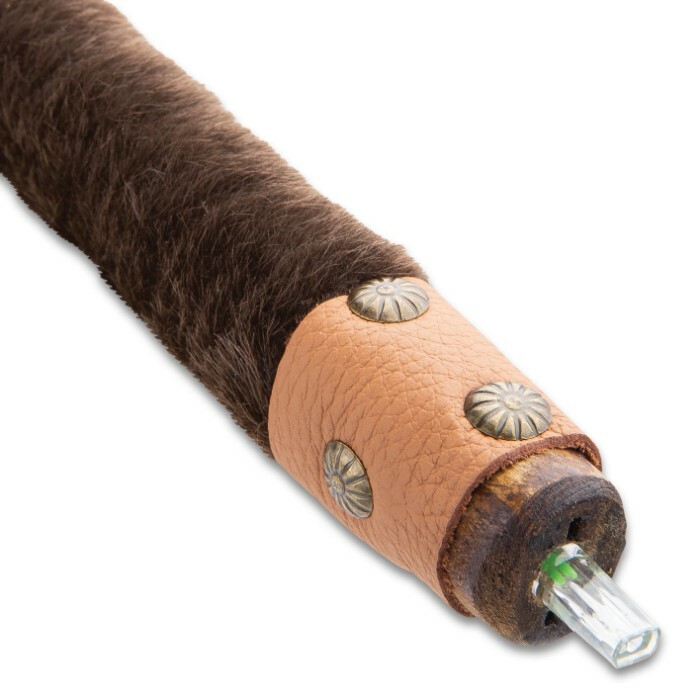 The integrated pipe is great for smoking tobacco with a rival as a gesture of respect and goodwill - just like many American Indian tribes did generations ago. 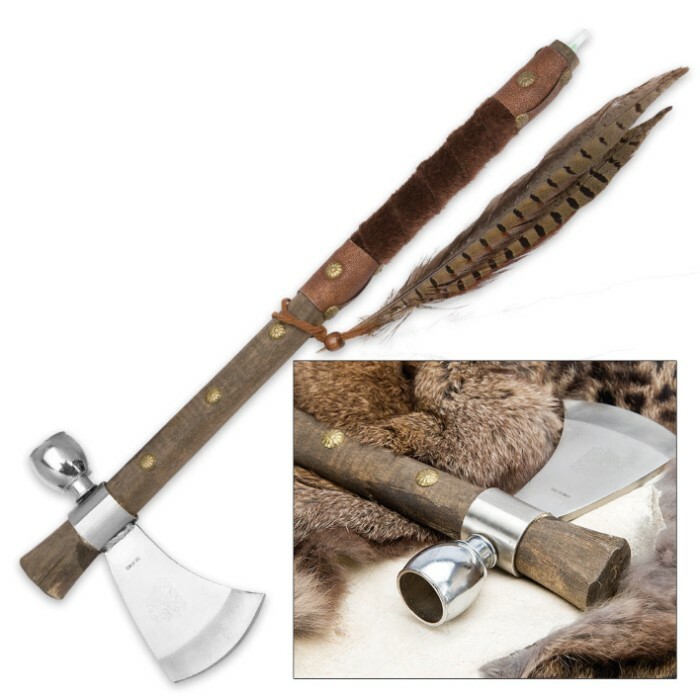 Should relations or peace agreements sour, however, the razor sharp 3" stainless steel blade transforms the tomahawk into a potent throwing weapon. The axe head and pipe bowl combination is securely attached to a rugged, genuine hardwood shaft. 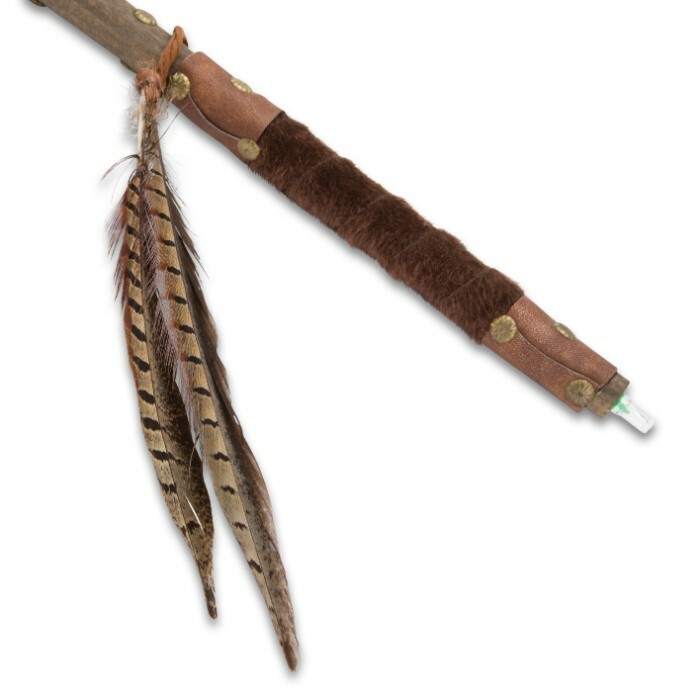 Metal studs, a feather tied with leather cord and beads, and a handsome faux leather and fur grip gracefully adorn the natural wood shaft. At 19" long, the Chief's Ceremonial Tomahawk Pipe makes an impressive home or office display, and it's also perfect as a superb, authentic-looking prop for theater or cosplay. Don't forget friends and family! This charming replica makes a fantastic gift for Wild West fans, history buffs, Native American art collectors or anyone who appreciates fine design and craftsmanship. Excellent pipe-- changes in the law have allowed us to use this now,and make PEACE! ??? 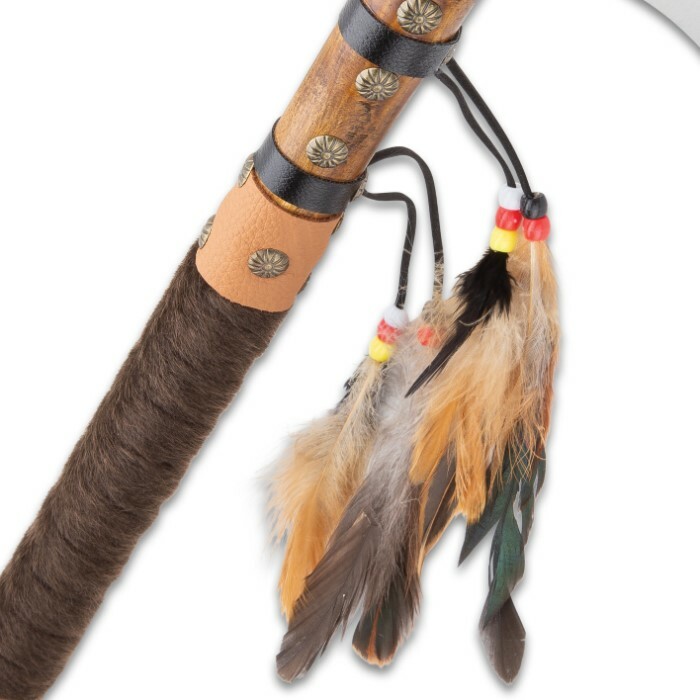 I have been looking for one of these for years as a gift for my best friend who is a First Nations military re-enactor. The others he has found do not hold up to the gatherings. You have a customer for life, probably more after I give this to him. Thank you and keep up the good work.